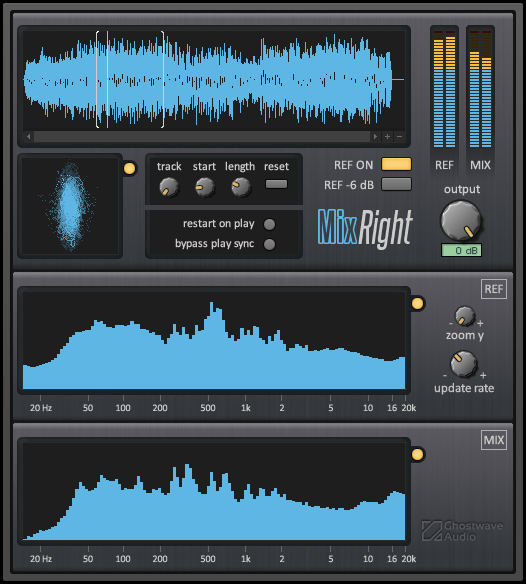 MixRight is one of the easiest tools to compare your current mix with the reference track of your choice. In only one click, you can alternate between the two and find out the necessary adjustments for your current mix. MixRight is an essential tool if you are serious about making all your tracks the same level or as loud as commercial mixes. Please read the manual below for a full description. "Mixright is exactly what I've been missing at the mix down stage. I can finally, and very easily in a single click, A/B my mix to all the tracks that deliver that big sound."